If you haven’t noticed, we’ve had technology on the mind—and on the blog—for the last few weeks. Showcasing what’s possible in fashion with advancing technology is one thing, but using advanced technology for the betterment of people and our environment is what most scientists and designers have on their minds as they find newer and better ways of redesigning the old. And once experts have created technology to, say for example, repurpose excess fabric or garments, shouldn’t fashion companies with the resources to do so be trusted to take advantage of these new developments in an attempt to do what’s good for their customers and the world at large? This idea of “knowing better, then doing better” led us to the topic of ethics in fashion as they related to existing technology. Ok, ok. Full transparency—the following disturbing headline story is actually what led us to start thinking about ethics and technology in fashion. Yeesh. Burberry’s annual report was released not too long ago revealing that the London-based company destroyed (yes, you read that correctly—destroyed) $38 million dollars (up from $28 million dollars in 2016) worth of finished goods over the course of the year. The outgoing chairman of Burberry, John Peace, claims that destroying product is “not something they take lightly,” however, the shocking figure has Burberry Group Plc shareholders questioning the company’s practices. As they should. Since 2017, Burberry has donated leftover leather to Elvis & Kresse. This gesture seems but a fraction of the good they need to do in order to make up for the landfill that houses $38 million dollars worth of unusable (for whatever reason) clothes bearing the Burberry label. And when H&M has figured out how to work with companies like re:newcell and Worn Again to turn old clothes into reusable pulp that can be transformed into a material on par with cotton, does Burberry have any excuse for increasing our environmental footprint? While Burberry is downright dumping clothes into landfills with a blatant disregard for the existing technology that could be used to solve their excess problem, others use technology for their own betterment—but not necessarily the betterment of the environment. Take Tommy Hilfiger, for example. Hilfiger has created a Tommy Jeans XPLORE smart clothing line in which the garments have Bluetooth chips embedded. Instead of using this technology for good, the Bluetooth chips are connected to an app that places the wearer at certain points around the globe, earning the wearer reward points as he or she globe trots and collects icons through the game on the iOS app. These reward points encourage the Tommy consumer to buy more…you guessed it—Tommy Hilfiger apparel. The marketing giant also aims to turn XPLORE buyers into influencers for the brand as they collect their rewards and continue to spend on and wear Tommy Hilfiger. Unfortunately, the only purpose of technology in this case is to sell more clothes, eventually contributing to the existing amount of clothing that fills our landfills now. But when it comes to ethics and technology in fashion, all is not lost. In fact, it’s often the emerging designers who are the innovators that put progress over profit and sustainability over sales. Take a look at just a few of the trailblazers we’ve found who are using technology to enrich our lives and reduce fashion’s footprint. And of course, support their efforts, if you can! 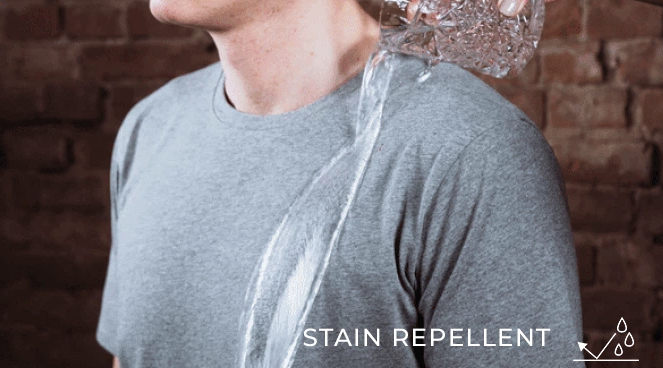 Think of the number of t-shirts you’ve thrown out over the course of your life due to underarm stains or odors, spills or just general wear and tear. Imagine needing to buy a fraction of the number of t-shirts you’ve spent your money on in the future. Then imagine the reduced amount of t-shirts headed to landfills. Introducing LABFRESH. What if you could wear (and buy) fewer winter layers? These long sleeve t-shirts allow you to turn up the heat when you are chilly, while eliminating the need for extra layers, extra money spent and extra long sleeve t-shirts in landfills. And finally, meet Asuno, an activewear line that uses the latest advancements in fabric technology in order to give back directly to causes in need. When you buy a pair of yoga pants, for example, you will be feeding a child, providing clean water or giving an identity to child who may have otherwise gone undocumented. Is the ethical use of technology part of your design philosophy? If so, we would love to know about what you do and how we can support your efforts. As always, leave your comments below.